These Spinner Displays are Commonly Set Up Right Next to Cash Registers! Encourage More Impulse Purchases with the Merchandising Racks! 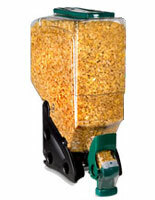 Order Spinner Displays from Our Massive Online Inventory! 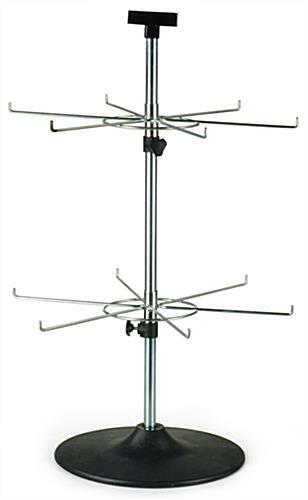 These wire spinner displays are great for use in retail environments. The racks are designed to sit on counters or tabletops. The spinner displays, such as merchandising store fixtures, have (2) rotating tiers that move independently. 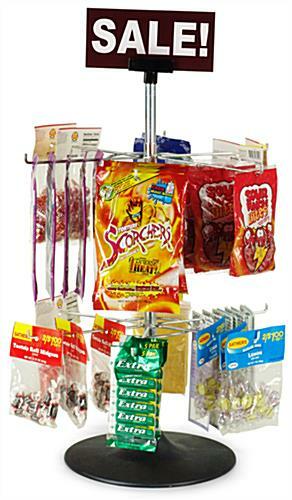 Each of the tiers features (6) hooks for hanging different prepackaged merchandise. The hooks on the spinner displays are 8-1/2" long with upturned ends, which prevents goods from slipping off and onto the floor. At the widest point, the hooks measure 9" apart. 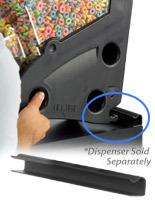 The bases of the racks are 12" in diameter and are made from rugged black ABS plastic. The spinner displays provide an economical yet highly versatile solution for showcasing retail items. Each of the racks will accommodate different sizes of merchandise. The spinner displays also allow for the different tier setups, as they are fully adjustable. The wire fixtures are adjusted using the provided clamps. The spinner displays do require minor assembly upon receipt, but the process is simple and quick. Just secure the pole to the base, and then slide the tiers onto the pole. We expect to have more in stock in approximately 10 days.